Los Angeles - A letter from a Los Angeles landlord has gone viral, proving he is no scrooge during the holiday season, instead, playing a form of Santa Claus for his residents. 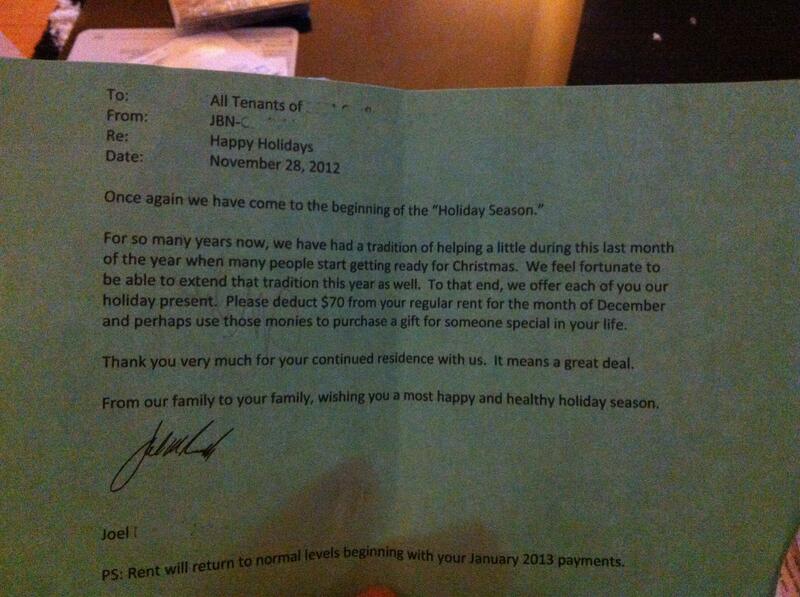 The letter goes on to inform tenants they can deduct $70 from their December rent payment. He suggests they use the money to buy gifts for "someone special", and thanks them for continuing to be residents of the property. Reddit user mikeoley posted the letter on Thursday. The post quickly went viral, with more than 600 comments by Monday evening. Olejarczyk plans to use his part of the savings to buy Joel and his building manager, Nancy, a "small gift".